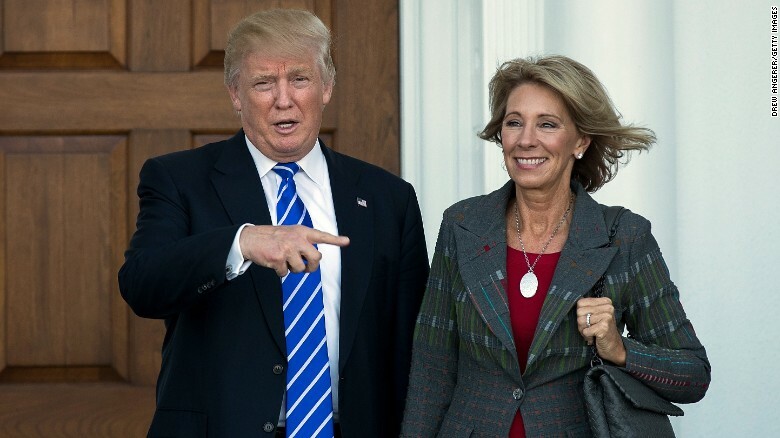 There is a bit of irony that on the same day that a furor erupted among progressives and supporters of America’s Historically Black Colleges and Universities after Bethune-Cookman University announced that Secretary of Education Betsy Devos would serve as its commencement speaker this month, that her boss, President Donald Trump, was lambasted for his historically suspect (and wholly idiotic comments) about the American Civil War. Unless you have been hiding in a cave, by now I am sure that you have heard or read President Trump’s insouciant insistence that had President Andrew Jackson lived, that he would have been able prevent the Civil War from erupting. That Trump does not know any better comes as no surprise; like many of my readers, at this point, Trump’s academic deficiencies are no longer humorous or even baffling. What his latest flub reminds me of is that the dumbing down of America will only continue so long as the search for commonly held facts remains less common, and the search for universal truths continues to devolve into “our” truth as opposed to “their” truth. To me, the mark of a truly enlightened individual is one who can listen to and weigh cogent arguments or opinions about common facts that differ from their own. But the key concept here is “cogent,” and one of the worst aspects of the 24/7 news cycle and insta-punditry by and through social and traditional media is that anyone with a Facebook page or a Twitter handle can fire away and if said insta-pundit is super rich and famous, like a Trump or a Devos, their posts will be liked, shared, re-tweeted and assigned value where upon deeper inspection, none should exist. Earlier this year, Betsy Devos commented that America’s Historically Black Colleges and Universities were the first examples of “School Choice.” No surprise here, as Devos was picked to be education secretary not because she spent years as an educator or administrator, not because she held degrees in curriculum design or pedagogy, nope, she was picked because she is a billionaire heiress and lobbyist who has been at the vanguard of the school choice movement (charter schools, vouchers). Devos’ flub was consistent with her political perspective, which is cogent, but had she taken even a moment to Google “HBCUs” before firing off at the mouth, she would have known that HBCUs were developed not because former slaves “chose” them, but because Jim Crow laws that mandated “separate but (un)equal” education REQUIRED them. As the son of a father who accepted a football scholarship at then dominant (and segregated) football power Florida A&M University (FAMU) in 1958 because his hometown Miami Hurricanes could not sign black athletes due to Jim Crow, and also as the son of a mother who grew up directly across the street from Florida State University’s Doak Campbell Stadium, but could not set foot in it or on campus, thus prompting her enrollment at FAMU as well in 1961, I know full well the often painful reminders that their generation provided to mine about the barriers that black people overcame to develop and maintain HBCUs. As for Devos, few if any of her conservative supporters would have cheered had she been tapped to lead the Treasury Department or to chair the Federal Reserve Board due to her lack of qualifications. But they love her in this position because their shared politics could lead to a restructuring of the public education system. Which, of course, leads me to ask what does she gain by her speaking at Bethune-Cookman, a private school whose founder was a progressive member of President Franklin Delano Roosevelt’s “Kitchen Cabinet” of black advisers? A photo-op? A chance to say that she spoke to a predominantly black audience? I do know from a well placed source that BCU stands to gain millions of dollars in donations; it is hard for any college to turn down free money. But is it free? Or are the costs of allowing this proud HBCU to be pimped by a Trump administration that is tone-deaf about American history with respect to blacks too heavy of a cross to bear? I submit to you that indeed, it is, and Devos’ speech, much like her employer’s perspective on “The Blacks” will be shallow and trite.